A traditional cocktail from Northeastern Italy, the Aperol spritz has become a summer standby. Sipping it on the porch or at the pool, you’ll feel like a glamorous Italian babe on the deck of a yacht in the Mediterranean. The bare-bones classic consists of 2 parts Aperol, a bitter, herbal Italian liqueur and 3 parts prosecco (a sparkling Italian wine) and a splash of soda water. Garnish with an orange slice and a green Venetian olive, and you’re in business (just don’t forget to serve over plenty of crushed ice). 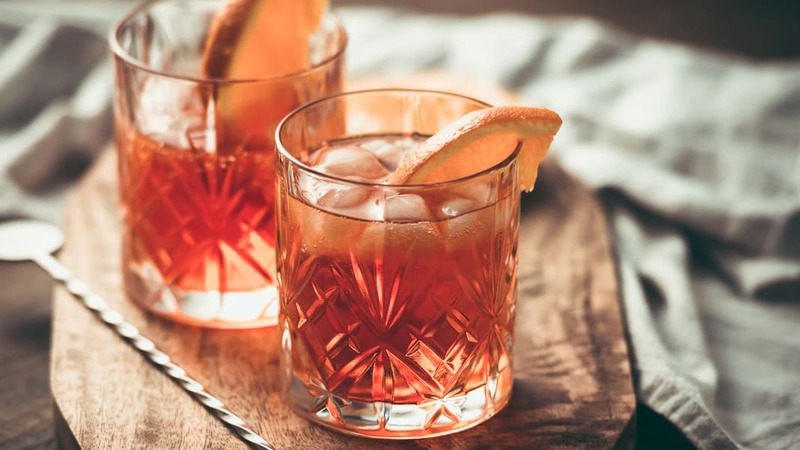 Though Aperol is the most commonly used liqueur on this side of the pond, you can also switch things up by adding Campari or Cynar instead. Once you master the basics, though, it’s time to experiment! All three liqueurs pair beautifully with fresh citrus, herbs and fruit. Berries help tame the bitterness of the liqueur, while the acidity of lemon or lime opens the flavors right up. The one true constant? Make sure the drink is fizzy and ice-cold.